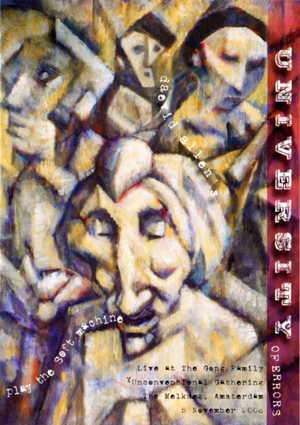 The last recording by University of Errors to be released on January 13, 2016 in honor of Daevid Allen’s first non-birthday day, it would have been his 78th birthday but it isn’t. 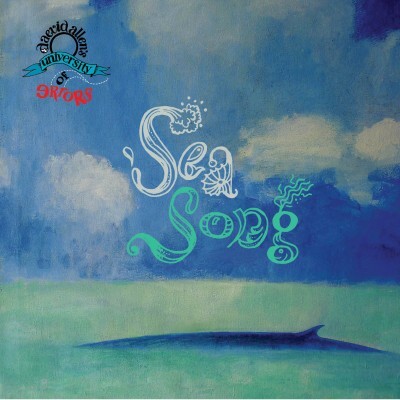 It is the bands’ version of “Sea Song” by Robert Wyatt. The recording was done at Daevid’s home studio in May 2011. Daevid reworked and finely tuned his vocal and glissando parts and the final mix was done by Orlando Allen in 2014. It was Daevid’s idea to release it as a thank you to everyone after his surgery and temporary recovery in 2014. He chose the artwork, photos and b-side “Ocean In The Distance” from the album e2x10=Tenure. It is being released as a 7” single and available via mail order from GAS and WAYSIDE MUSIC in the USA. 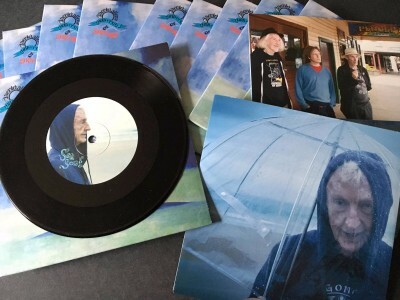 It is packaged like a small album in a cardboard sleeve with a spine and full color inner sleeve and pressed on heavy audiophile quality vinyl. 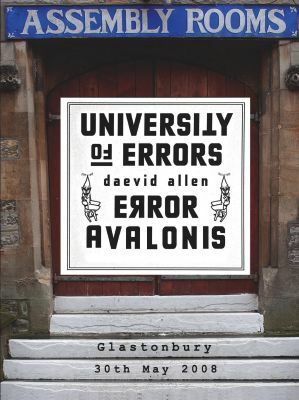 There is a newly released DVD of Daevid Allen’s University Of Errors third and final performance at The Assembly Rooms in Glastonbury, UK on 30 May 2008. “The first in a series of Lawrence the Monk Gongish films spanning the years - bizarre treasures each and every one - catch-phrase, "I didn't even know he filmed that!". The idea for this project was first mooted up at a System 7 / The Orb all-nighter in Manchester a couple of years ago. Our friend, The Tin Man, had three pieces of work with him that Daevid was keen to see published, and after the work we did with him in 2011, wondered if we would be up for it. Of course! It was great to have the opportunity to work with Daevid on soundbites 4 tha reVelation 2012, and was another one of those occasions where I ended up working with someone who’s work I’d first come across over 30 years ago when the Gong LPs Magick Brother and Floating Anarchy 1977 were being passed around the school yard. 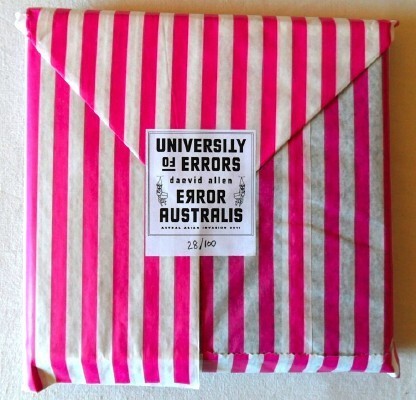 Work on Error Australis began just as Daevid went off on a tour of Japan with You Me & Us. After a lengthy period of radio silence we heard Daevid had been diagnosed with cancer, and was in hospital having intensive treatment. 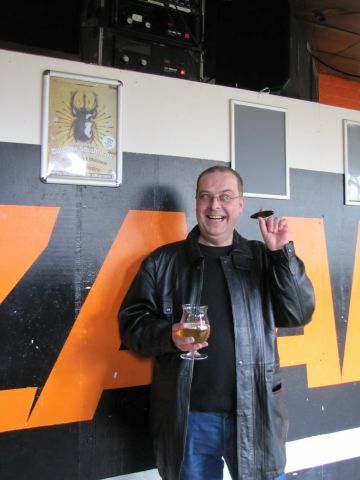 We never had the pleasure of actually meeting Daevid – 10,500 miles aside – we were away when he was in the UK, but his funny playful emails were a joy. We are gutted that Daevid never got to see this box set published – the book proofs were delivered to The Tin Man on Friday 13th March, the day Daevid passed. 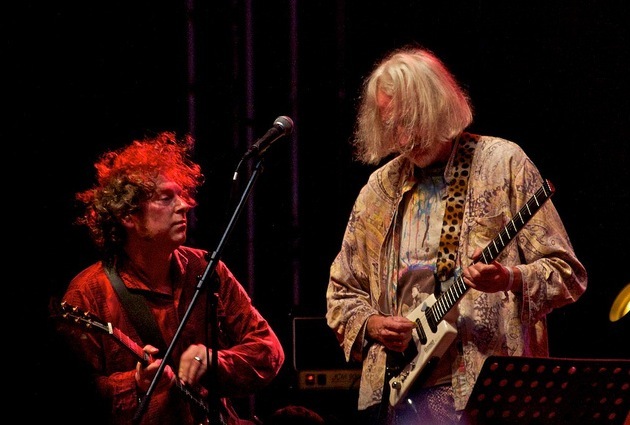 Work to complete the project continues, and will be a benefit for Planet Gong to help them towards tying-up Daevid’s extensive musical estate. 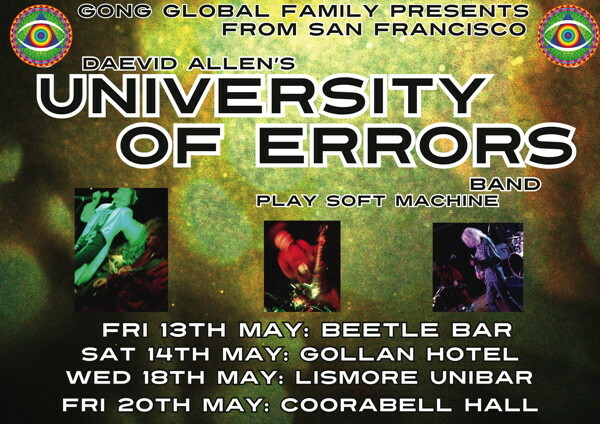 Daevid Allen’s University of Errors Australian tour diary, May 2011. Written in his idiosyncratic style, full of humour and word play. Full-colour throughout, featuring band photographs and those they met on their way. 12-page pamphlet with coloured card cover and letterpress printed title plate. Originally published in 1966, before the formation of Gong, this text features the first appearance of the Pot Head Pixies who would become key characters in the Gong mythology. The pixies are green with propellers on their heads, and they fly around in teapots [© ireckon.com]. Pe-published here for the first time in over four decades. 8-page, square format pamphlet, card cover. With reproduction of Daevid’s 1966 PHP illustration. Headmaster left the Blue Planet March 13. 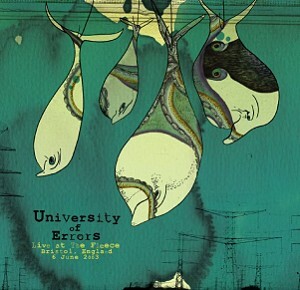 University Of Errors entire faculty are taking 2012 off from the rigors of academia. Josh as usual has a large variety of projects. and has joined an instrumental surfin' and spyin' band called "Men In Grey Suits"
and always interesting bits an pieces appear on the UofE Facebook page …. "Music For Film & Theater, Vol. 1"
...the title of which kinda tells you what's up. a well spoke round the bend recounting of the events of the UOfE Austrailian tour of May 2011 by Headmaster Allen. AND WILL SUBSEQUENTLY BE TOURING EUROPE IN OCTOBER 201I. Warren Huegel long time drummer with Uof Errors is withdrawing from UofErr during 2011 to support his partner during the birth of their first baby. The entire faculty is very dissappointed but congratulates Warren on his imminent fatherhood. Today it has been confirmed that the new drummer will be ORLANDO ALLEN! Daevid is obviously excited and delighted to be playing on stage with his son again. "Orlando & I finally get a chance to build on the rapport that sparked twixt us when last in Oz--a rapport that, to my ears/soul, sparked fastly and furiously. and have been wanting to play together again very badly ever since--I'm soooooo psyched that that finally gets to happen! And I think the line-up shake-up will be a good creative kick in the pants. I was excited about this before, but, I have to say, even more so now! at The Melkweg, Amsterdam, 5 November 2006"
It is a live recording from the 2003 tour recorded in Bristol at the Fleece, the last performance of the tour.